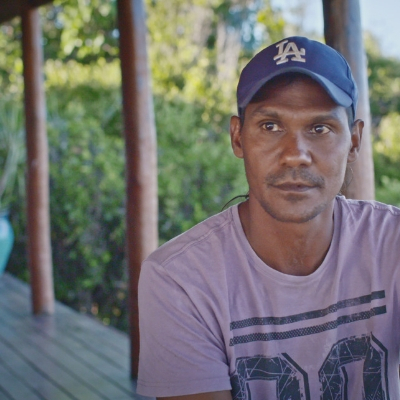 Albert Wiggan is a Bardi-Kija-Nyul Nyul man from the beautiful waters of Boddergron (Cygnet Bay) on the Dampier Peninsula, who is passionate about culture, country and Indigenous science. When the government tried to build the world’s largest LNG plant at James Price Point, Albert lobbied the Supreme Court and fronted a blockade until the developer withdrew from the project. He now works as an environmental consultant with the Nyul Nyul Rangers, is Deputy Chair of the Kimberley Indigenous Saltwater Science Project, Indigenous Chair for Bilbies Australia’s National Recovery Team, and is the Nyul Nyul representative on the board of the Kimberley Land Council. Albert has toured international stages as a speaker and musician with John Butler, and has worked in film and television for the last ten years. He lives with his wife and three children on Nyul Nyul Country in Beagle Bay community.